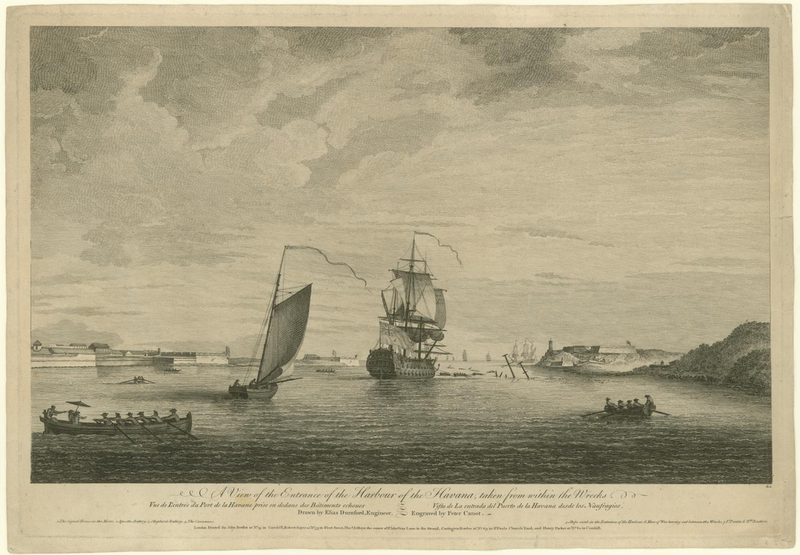 "A View of the Entrance of the Harbour of the Havana, taken from within the Wrecks," Elias Durnford, 1768, John Carter Brown Library. The capture of Havana during the Seven Years War was a major victory for the British in the West Indies. It deprived the Spanish of a key port in the Caribbean, and in turn gave that advantage to the Royal Navy. Diplomatically, it was a key factor in the negotiations around the Treaty of Paris that ended the conflict. The seizure of the port was represented in patriotic art, which we've touched on before. Durnford's drawing, which we see in the Peter Canot engraving above, was sold a full half decade after Havana was returned to the Spanish, and so demonstrates the power this victory had with the British public. Under an umbrella two gentlemen, possibly officers, are rowed across the harbor. Their coxswain wears either a knit cap or a very short brimmed round hat, a jacket that ends at the waist, and a pair of trousers. All of the oarsmen wear round hats with wide brims, save the foremost jack, who wears a cocked hat with the point forward. 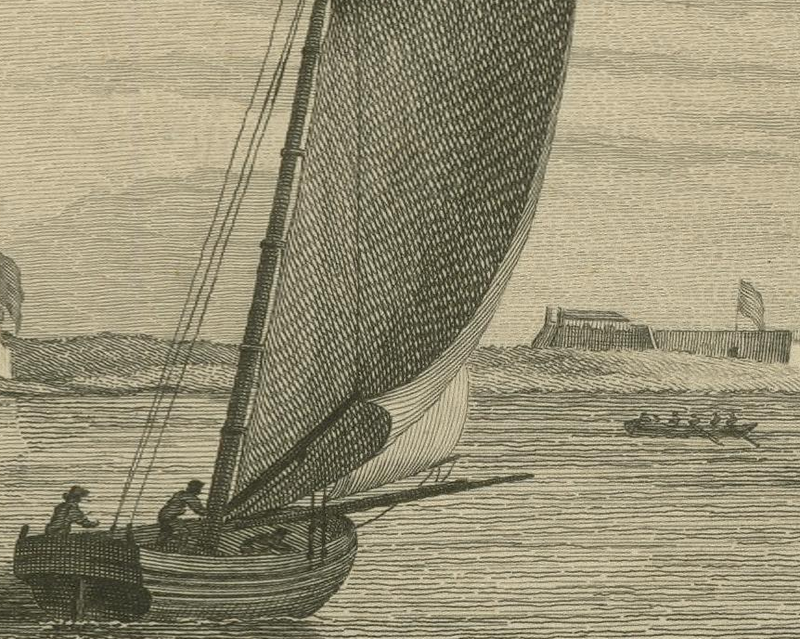 Just beyond them is a small sloop with a crew of three. They all wear rounds hats, jackets that end about the waist, and trousers. Before them is a man of war being towed out between the wrecks in the harbor, carefully maneuvered around the debris. Rowing toward the man of war is yet another boat, the crew of which are also in jackets and round hats.